Niall Horan's solo career has fully taken off with the One Direction star releasing his debut album Flicker on Friday, fresh from announcing the UK dates from his world tour. Niall can now add a sold out Brixton Academy to his list of achievements, with second dates already added in Manchester, Glasgow and Dublin. Niall began working on Flicker last year, with fans getting their first taste of the album with his Top 10 set up single My Town. 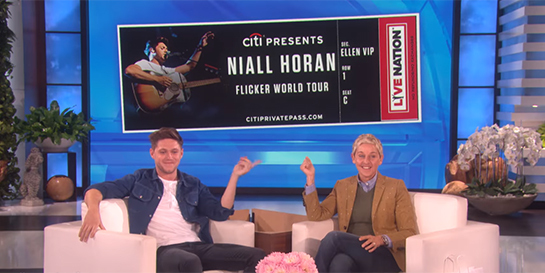 Niall previewed new music from the album around the world on the Flicker Sessions 2017 tour – performing at the kind of intimate venues he never got the chance to play with One Direction. Flicker’s biggest track so far is Slow Hands, which has reached platinum status in the UK, US, Australia, New Zealand and the Netherlands and is still popular across UK radio, alongside current single Too Much To Ask. 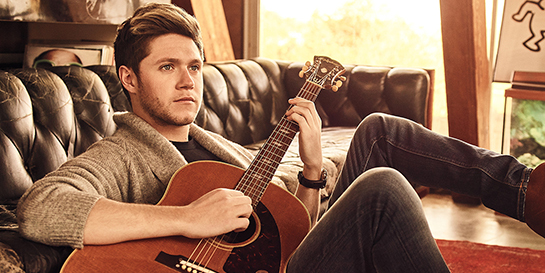 The set-up for the album has also included an Apple Music short documentary titled On The Record: Flicker, giving fans an insight into the launch of Niall’s solo career and his creative process. Niall, who is signed to Capitol in the US, will be stateside for the release of his album. Throughout the week, he will be appearing on the three biggest TV shows: Ellen, Jimmy Kimmel and The Today Show. He’s also been nominated at the AMA’s for Best New Artist, and will be performing at the Country Music Awards. Slow Hands also topped the US Top 40 radio chart for two weeks, an achievement that wasn’t even accomplished during Niall’s days with One Direction.